In a land where no magic is present. A land where the strong make the rules and the weak have to obey. 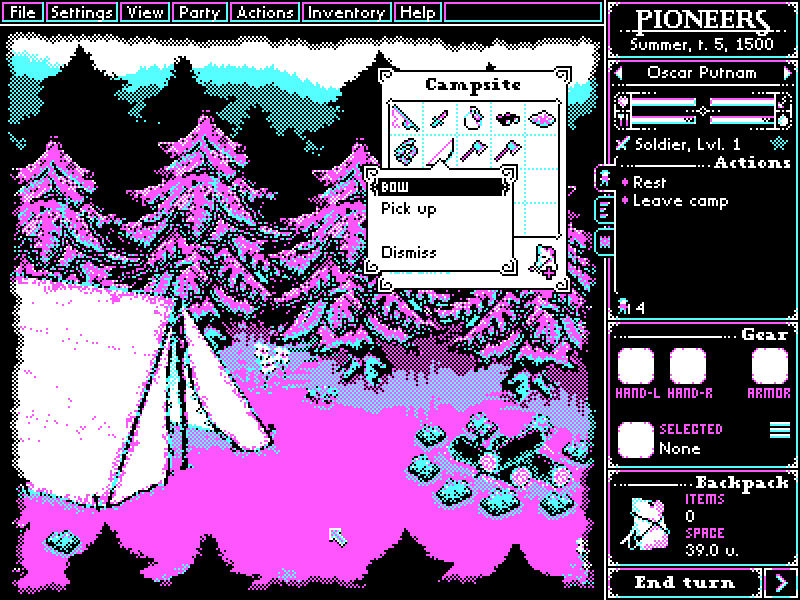 A land filled with alluring treasures and beauty, yet also filled with unforeseen danger. Three years ago, Xiao Yan, who had shown talents none had seen in decades, suddenly lost everything. His powers, his reputation, and his promise to his mother. What sorcery has caused him to lose all of his powers? And why has his fiancee suddenly shown up? Our male lead is described as a sly and unstable person. His power is lost because it was absorbed by a spirit in his ring (given by his mother). The spirit needed his power to wake up from a deep slumber. The spirit then becomes his master. 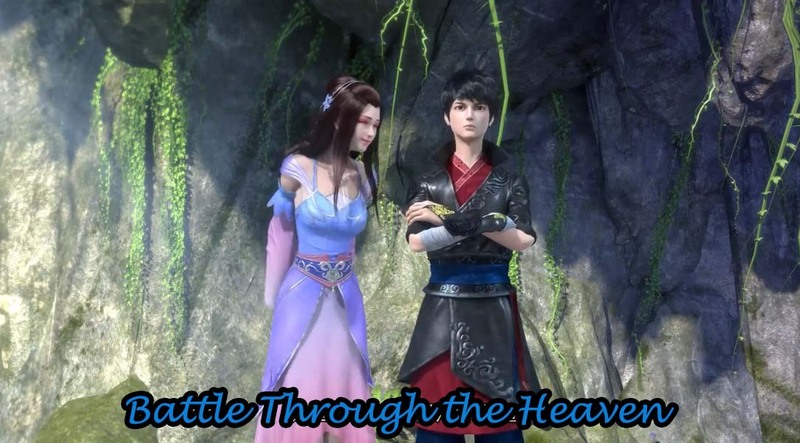 adaptation du roman : Battle Through the Heavens de Tian Can Tu Dou 天蚕土豆. 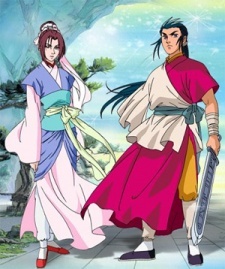 Xiao Yan is the main protagonist of Battle Through the Heavens. 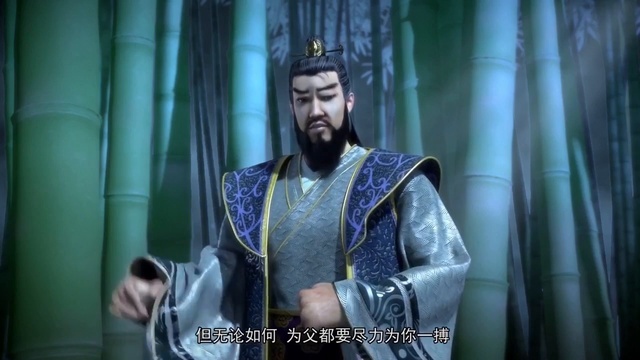 He was once hailed as a genius as a child but was abandoned by almost everyone who praised him after losing his dou qi. This was because his Dou Qi was absorbed by the spirit of Yao Lao present in a ring which he received from his mother. 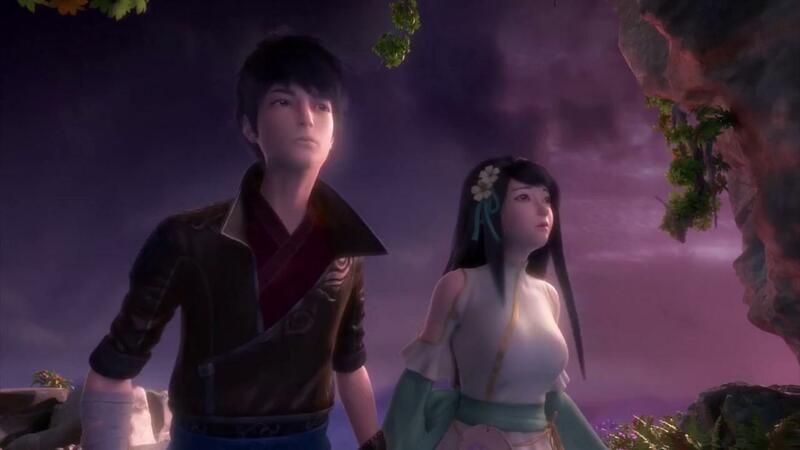 Yao Lao absorbed Xiao Yan's Dou Qi for three years from when Xiao Yan turned 12 that resulted in the loss of his Dou Qi and causing him to drop to Dou Zhi Level 3.He then later sets out on a journey to become stronger. 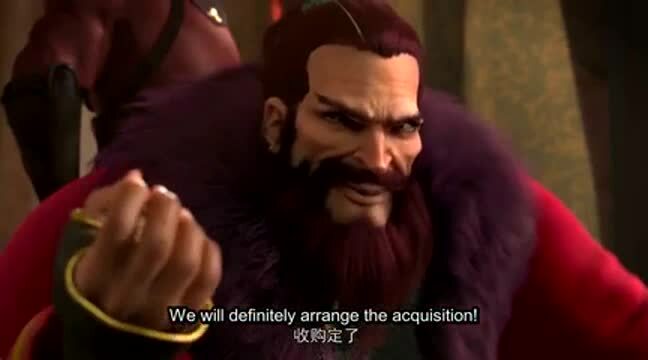 At first , his goal is just to be able to defeat Na Lan Yan Ran, but his final goal has risen much higher as his enemies are at the top of the "food-chain" and he realises he will have to surpass them. His aim, as of the current arc, is to reach Dou Di ( Dou God ), which is the highest rank. 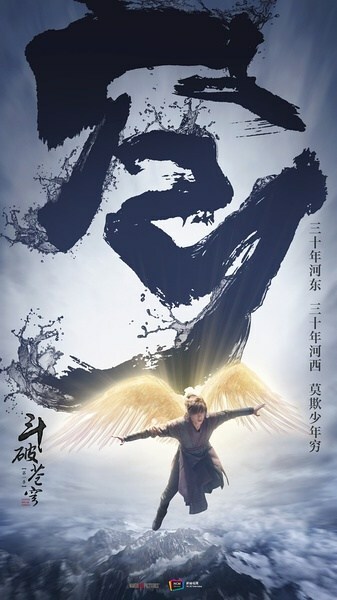 Yao Lao is the spirit living in Xiao Yan's ring. He is a very high class Receptarier. 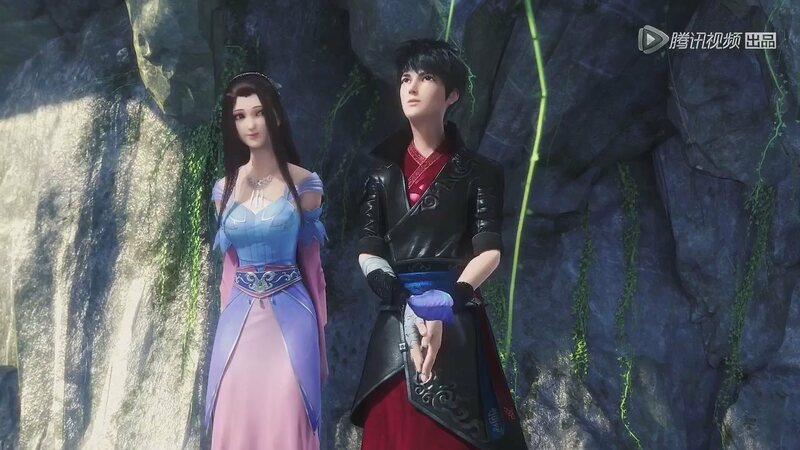 He is the reason why Xiao Yan had lost his powers because he was taking Xiao Yan's Dou Qi to awaken himself from a deep slumber. He is now Xiao Yan's master. Xiao Yi Xian is cursed with a poisonous body. Although this body afford her strength, it could also result in the death of her and anyone in the vicinity upon its activation. Anyone who had a similar fate in the past died painfully when all the poison within their body exploded, destroying everything in a thousand mile radius. A young girl adopted by the Xiao family, is a childhood friend of Xiao Yan, and also a talented fighter. She has a very mysterious background. 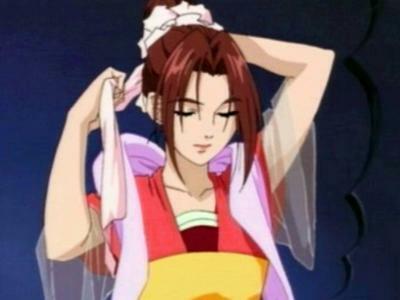 She is the number one heir of the Gu Clan and she is the sole possessor of the perfect Dou Di blood in Gu clan within the past 1000 years. Ya Fei is the head auctioneer of the Miteer Family. She possesses devilish charms and the ability to sell anything. Xiao Yan has once said that although she may not have the talent for fighting but she sure has the talent for auctioning. Xiao Yan's former fiancee and the Yun Lan Sect's little sect leader. 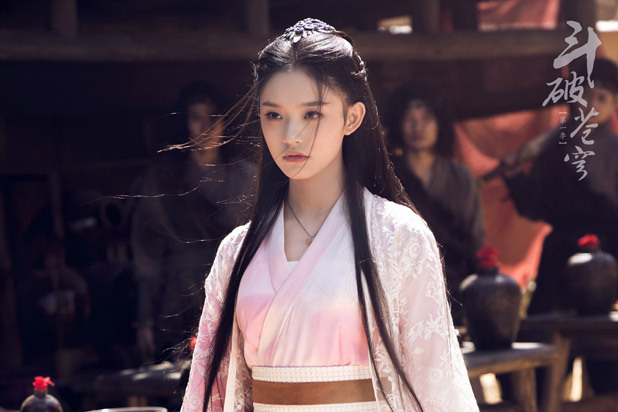 She desired to cancel the engagement with Xiao Yan after he had lost his genius abilities and made a promise to him about a battle in three years in order determine whether Xiao Yan would officially cancel the engagement or whether he would simply divorce her. 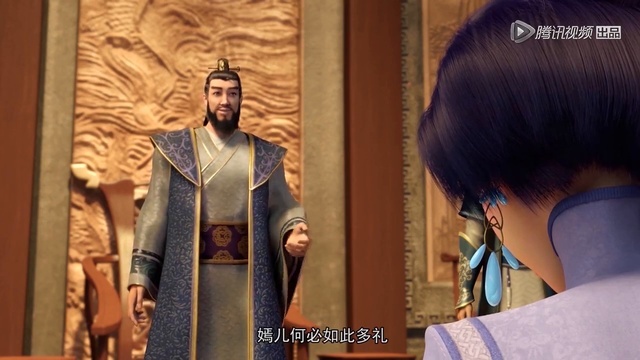 Yan Ran fell in love with Yan Xiao(Xiao Yan in disguise) and upon finding his true identity, she despaired that it was retribution for her faults. Last edited by Shakespeare; 04-01-17 at 09:33 AM. Last edited by Shakespeare; 04-01-17 at 08:24 AM. Does anyone know where I can find the 3D CGI cartoon version subbed in ENG? Last edited by hirobo2; 01-21-18 at 12:47 PM. I watched the first 7 eps of the CGI anime version. It's funny as hell, so I might give this drama a watch. I'm very curious why the drama originally lists a Korean director, but on Wikipedia the director is Yu Rongguang. Is it becoz of the THAAD fiasco, so now they're censoring anything Korean? Last edited by hirobo2; 01-27-18 at 07:33 PM. My thoughts on the anime version: When I first started watching the CGI cartoon version, I thought that a bazillion episodes were already made and that I was behind. Well, it turns out that only Season 1 was ever made (12x24 min episodes) and that Season 2 won't release until April, 2018. Last edited by hirobo2; 01-27-18 at 07:00 PM. I can't seem to find a good CGI pic of her, but the name sounds particularly deadly. P.S: For those not familiar with RoCH = Return of the Condor Heroes; YG = Yang Guo; XLN = Xiao Long Nu; GJ = Guo Jing; GWM = Golden Wheel Monk; LMC = Li Mochou; CY = Cheng Ying; LWS = Lu Wushuang; GSL = Gongsun Lu'e. Last edited by hirobo2; 01-27-18 at 07:07 PM. Last edited by hirobo2; 01-27-18 at 08:09 PM. They've turned a single lone chapter/volume of the manga into a two part OVA. Last edited by hirobo2; 03-13-18 at 07:50 PM. Last edited by hirobo2; 03-13-18 at 07:46 PM. In 1995, Carman Lee played as YG's wife, XLN in RotCH. After more than twenty years since playing Xiaolongnu in the 1995 adaptation of The Return of the Condor Heroes 神雕侠侣, Hong Kong actress Carman Lee puts on the traditional white dress once more. This time it's to film an advertisement for a Condor Heroes mobile game, and what's amazing is that her appearance has remained largely unchanged from when she was in her twenties to now that she's already in her mid-forties. Last edited by hirobo2; 03-13-18 at 07:52 PM. Last edited by hirobo2; 03-13-18 at 07:49 PM. I like to see a Chinese TV series/movie with great acting. But hard to tell if this will have that!